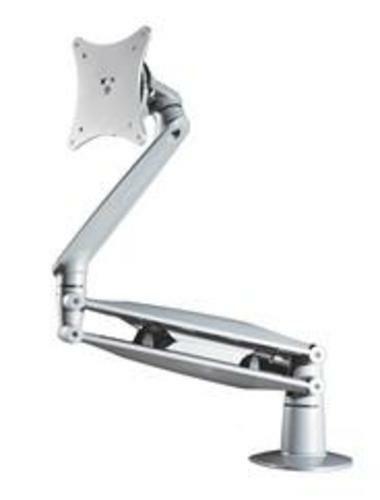 An adjustable gas-assisted arm to hold a computer monitor screen. The arm mechanism allows the monitor to be tilted, rotated and remain upright through any adjustment. The arm can be folded flat when not in use and features a quick-release mechanism. It can be mounted to a table surface via bolt or clamp accessory.